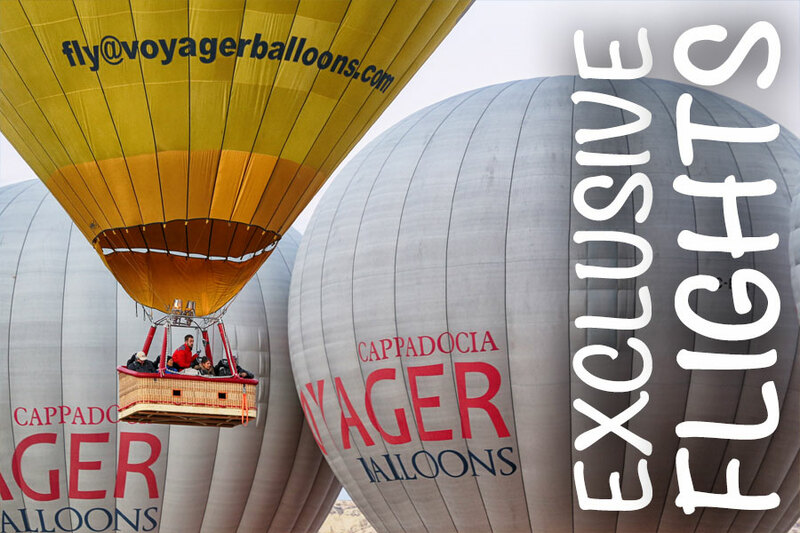 Cappadocia Voyager Balloons invites you to view Cappadocia as you’ve never seen it before! 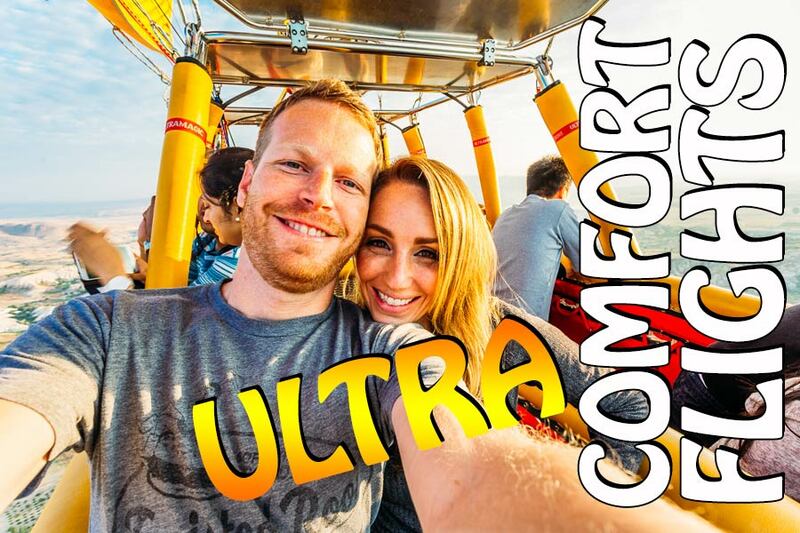 Get carried away in a Hot Air Balloon adventure, unlike anything you’ve ever seen. 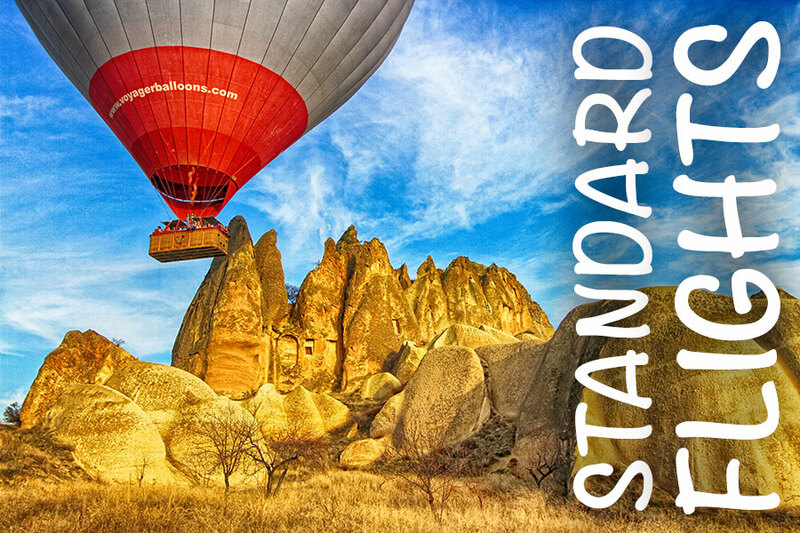 During your flight you will get a spectacular bird’s eye view of the valleys of Cappadocia and the interesting rock formations named as fairy chimneys. After drifting serenely for approximately an hour, we prepare for landing on our Standard and Comfort Flights. If you choose our Deluxe or Exclusive Fights it will be one and a half hours. On landing, a traditional champagne toast is held to celebrate your wonderful adventure. Non-alcoholic beverages are also available. 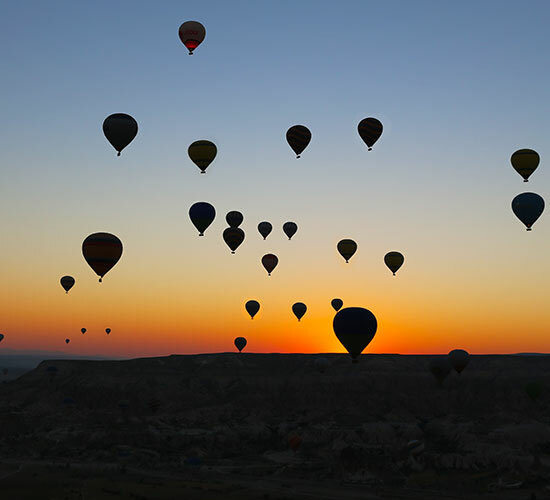 After the celebration, we will take you back to your hotels in Cappadocia. Most importantly we are fully licensed and insured. Our pilots are all FAA certified, highly experienced and are full time professionals. 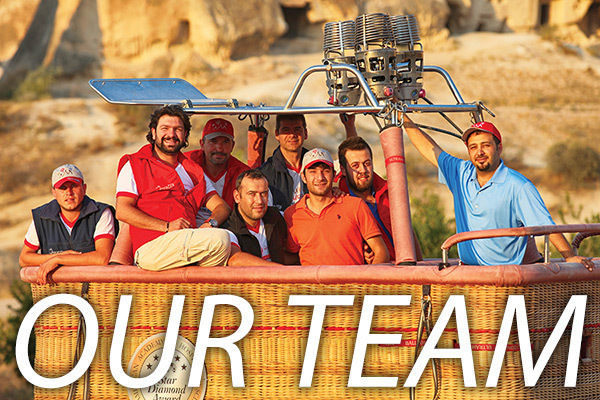 Cappadocia Voyager Balloon Flights are comprehensively insured. Full details of our policy are available on request. 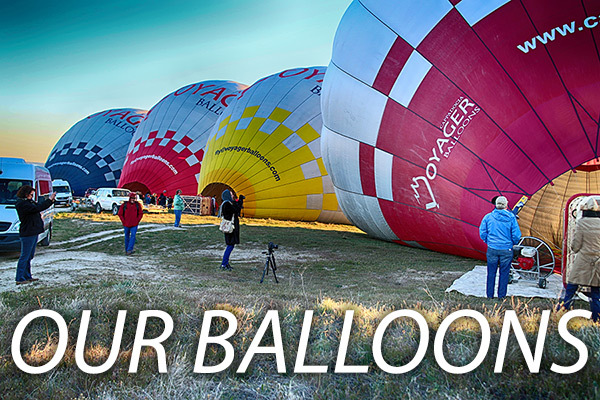 We aim to give our passengers a unique insight into the colourful world of hot air ballooning in a professional and friendly atmosphere. We are commercially insured for flight, ground transportation, and chase crew operations. Our balloons are fully insured by Eureko and fully covered all our operation at international standards. 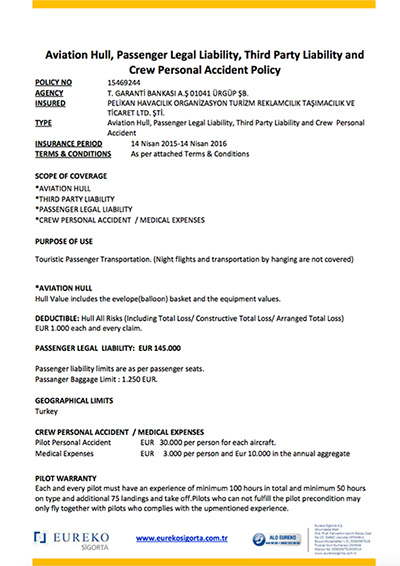 Voyager Balloons Flights are also insured for third party and passenger liability and aviation hull. We are licensed by the Civil Aviation Authority and all our pilots hold full commercial balloon pilot’s licences. Safety is our paramount consideration, but we also like to have fun and do our utmost to make the experience one that you will always remember. Every day, the officer not only inspects the local weather conditions from various national and international sources but also tours the region very early in the morning for technical and physical observations before granting the permission for the day’s flight. All the information is posted on the official website for the balloon companies to view. If the weather conditions are not suitable for a hot air balloon flight, all the flights are cancelled for the day by the same authority. 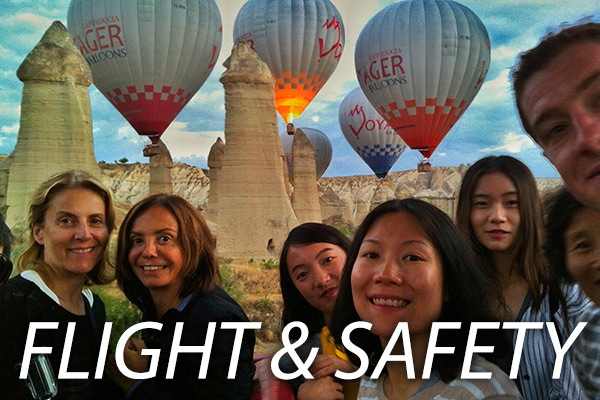 We, at Voyager Balloons, have always taken the safety issues as a priority and operated our flights accordingly to provide an excellent flight experience for our passengers from all around the world. We are proud to have a collection of 2013, 2015 and 2016 make balloons manufactured by UltraMagic, a Spain based world famous balloon manufacturer. We are also delighted that our 2016 make balloons are to be delivered shortly. We have a very good team of experienced pilots, three of whom are pilot instructors. Our pilots go through a health and flight inspection to renew their licenses every other year. We pay special attention to the periodic technical controls and the renewal of the equipment, which are also checked and approved by the DGCA. Every morning before dawn, our pilots have a meeting to go over all the data from the sources and decide on and then check the take-off site to provide the best and the safest flight possible. Before the flight, the pilot gives a safety briefing to his/her passengers, pointing out the safety ropes in the basket and demonstrating the landing position. At the end, passengers are asked to take landing position to confirm that every passenger has acknowledged it. Close to the landing, the pilot reminds the passengers of the safety measures and tells them when to take the landing position. At the landing point, each balloon is met by its land crew that has been in contact with the pilot and following the balloon on the ground. For your comfort and enjoyment we recommend you wear casual, comfortable clothing. Solid, flat footwear is essential (no high heels or sandals, please). It’s no colder in the air than on the ground but you will be outdoors for 3-4 hours, so dress for the temperature of the day. Bringing a light sweater or jacket might make you more comfortable if it is cool first thing in the morning. Long pants and sleeves: To protect you against the dreaded mosquitoes. Heels or sandals: Avoid them to keep your ankles safe during a bumpy landing or on uneven and muddy terrain.